I first met his Holiness the 14th Dalai Lama Tenzin Gyatso in Mumbai ten years ago. He travels the world to connect with people and his messages of compassion and hope, harmony and joy, human value and non-violence continue to touch hearts and minds and be a source of inspiration today. The Dalai Lama, or Ocean of Wisdom, describes himself as a simple Buddhist monk. He is a man who seeks peace but for most of his life has known conflict. In 1950, he became Tibet’s sole political and spiritual leader at 15 years old when China occupied Tibet. Since 1959, he is the exiled spiritual leader of the Tibetan people and he resides in Dharamsala in northern India with other Buddhist monks where they nurture and preserve the ancient rituals and traditions of Tibet’s rich history. As a world leader recognized and honored for his peaceful leadership, wisdom and spiritual authority, he plays an eminent role as an outspoken spiritual and political leader who has a keen interest in science and the human condition. He believes that peace and joy start with engaging those right beside us and to solve the world’s problems, we have to think beyond what divides us and find solidarity. In ‘The Book of Joy’, his message is simple – that most people look for joy in the wrong places and seek happiness and joyfulness from the outside – from money, from power and from material goods – and ultimately, he tells us that the source of a happy life and good health comes from inside and an inner peace. He believes that the meaning of life is joyfulness and explains the importance of humour, how a genuine smile can bring people closer together, and how a simple smile can change the world. He shares his hope that the 21st century will be a century of peace and not war, and he tells us that problems can only be resolved with dialogue. He warns that global warming is serious and major disasters will increase, and the opportunities of sustainable development and new technology. He expresses concern of the potential for growing conflict with a population reaching 10 billion by the end of this century with serious gaps between rich and poor, and that this is morally wrong and we have to think seriously about how to lessen this gap. He observes that education today focus on the economy and emphasizes the need for a holistic vision that prioritize moral principles, values and ethics, and more transparency to bring back the trust. He notes that problems are at a global level today and we need a sense of global responsibility, a oneness of humanity and the realization that seven billion human beings are completely the same emotionally, mentally and physically, and that everybody has a right to achieve a happy life. 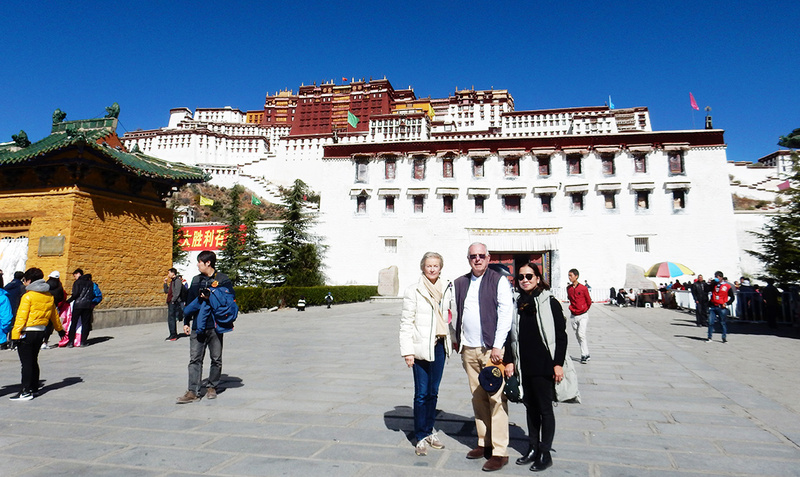 Inspired by the Dalai Lama’s life story, my husband Onno and I travelled to Tibet with friends six months ago, a 22 hour train ride across the high-altitude Tibetan plateau from Xining to Lhasa. 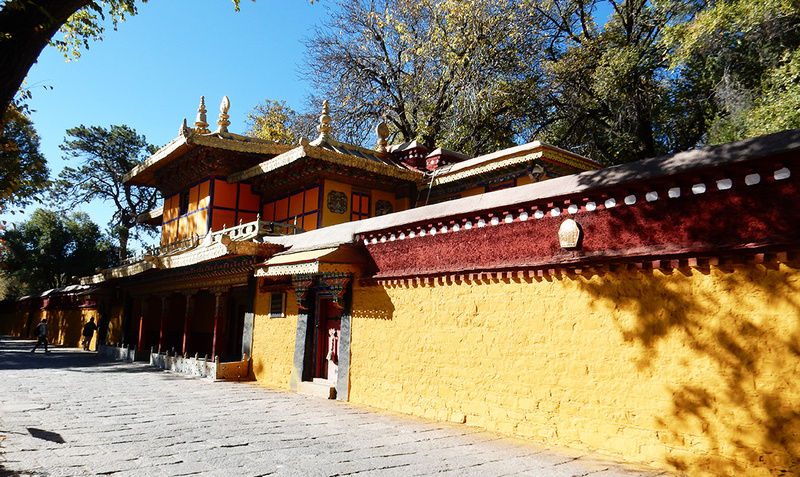 We visited the remote and stunningly beautiful territory known as the “roof of the world” and the homes where he lived before 1959 – the Patola Palace and the Dadan Mingjur Palace. Nearly half a century has past by and a generation has change since the Dalai Lama went into exile, but Buddhism and hope has kept their human spirit alive and it is passed on from older to younger generation. Tibet is governed as an autonomous region of China and there is strict security control in place to monitor the Tibetan people. Many original Tibetan villages were bulldozed and replaced by a modern replica. Large parts of Lhasa feel increasingly like any modern Chinese city, with hundreds of old buildings knocked down to make way for shopping malls and apartment houses for Chinese immigrants. 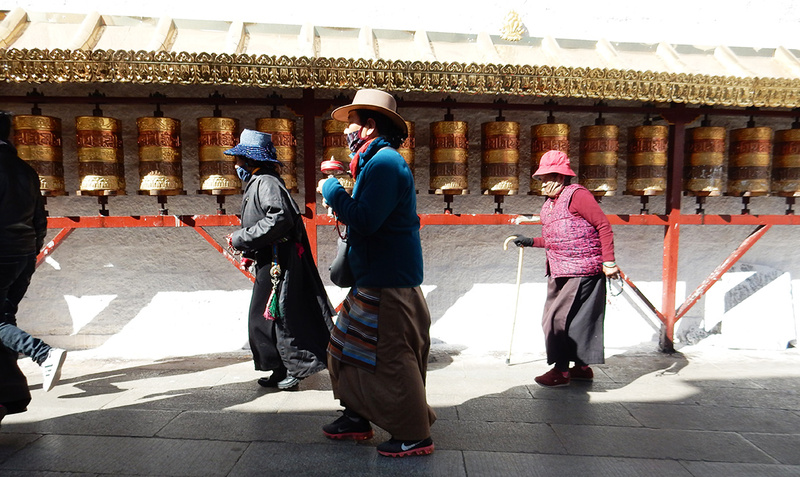 While foreign tourists still face restrictions on travel to Tibet, approximately 8 million travellers visited last year and it is predicted to rise by 50% by 2020. The government is investing heavily to create the tourism infrastructure and services to turn Tibet into a ‘world-class tourism destination’, progress that risk trivializing its culture, marginalizing its people and polluting its pristine environment. itmustbeNOW.com boldly embrace messages of hope and joy, values and global responsibility. We are changing the conversation around sustainability and creating joy around being healthy, sustaining our planet, giving back, creating a community that cares about each other and the many things we look forward to everyday when we are making a difference. We celebrate Force for Good properties in the NOW Track & Book and we urge you to use your spending power to only support sustainable properties when you travel.